This one's been brewing for a while and I haven't done anything productive hobby-wise this week. I guess I'll rant instead. I am disappointed in Age of Sigmar. This is me trying to explain why I even care. Warning: this article contains material of an overly-dramatic nature and some melancholy scenes. Reader discretion is advised. 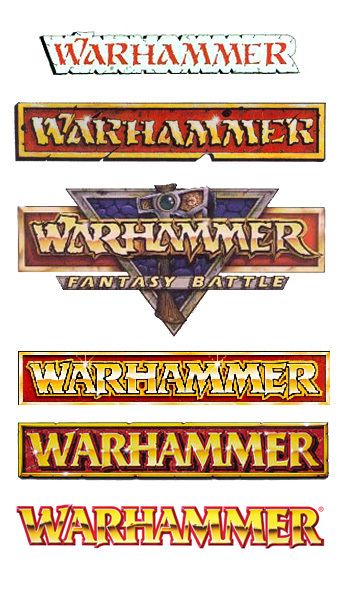 The very first wargame I bought into was Warhammer Fantasy, eighteen years ago. The first wargame I played was Warhammer Fantasy, maybe fiften or sixteen years ago. The wargame I own by far the most miniatures for? Warhammer Fantasy. This was my first box of wargems miniatures. I mean, I've branched out since then. First into 40k, and then, after a bit of dabbling in Necromunda, into Blood Bowl. 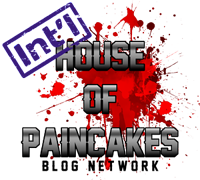 I went from there to Privateer Press, and Wyrd, and so on. 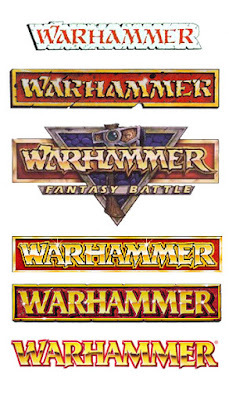 But Warhammer Fantasy was my first, and you never forget your first. I was there as sixth edition took shape. I was there when the Ogre Kingdoms rose. I was there when the Storm of Chaos washed over the Old World. I watched in awe as Games Workshop perfected their craft, bringing ever more detailed kits into the world. I watched the monsters grow up, from small but heavy metal, to insanely large plastic. I watched Finecast come, and go. I met Warhammer before I met my wife, before I figured out what I was going to do with my life, before I found Robert Jordan or Katherine Kerr or Nightwish. I might like to pretend otherwise, but one of the biggest influences on my formative years came in the form of little metal and plastic soldiers, arrayed in less-than-neat ranks on a kitchen table. I learned a lot of my English through Army Books and rulebooks. I built my close-reading skills interpreting obscure synergies between special rules. I learned to estimate distances in inches - I still need to transfer to metric, even though Sweden hasn't used anything else than metric during my parents' lifetime. Let's just say that Warhammer Fantasy was important to me, even if I didn't play as often as I once did, and even if I'd been distracted by other games. This was not one of those games. I would like to point out that it is no less silly to form your identity based on football, though. And there, my friends, lies the crux. Warhammer Fantasy was a game. Some people might try to tell you that the miniatures were always what was important, and it is true that they were what came first. Some might point to the background. Surely Felix and Gotrek or Malus Darkblade are more engrossing than the game ever was. Some might even tell you that the game was merely a way to forge a narrative, the models simply props for a drama. And while all of these views (and others along the same lines) might have some validity, the fact remains that the game of Warhammer Fantasy was its beating heart. The models were indeed splendid, and many a one found their way into the hands of painters who rarely if ever roll a single dice. The background stories of the Warhammer world count among their number at least a few pieces of first-class fiction. And I think I'm not the only person with models I've named myself, whose infamous deeds echo through the ages. But in the end, the hobby wheel spun around a single hub: the game. The game was where the stories got told, the reason I've spent uncounted hours painting not just one or two models, but literally hundreds. It's the only reason I've painted well over a hundred Empire State Troops, or fifty Plague Bearers. It's the reason I bought a Forge World Great Unclean One. And the game that was known as Warhammer Fantasy is no more. The loss of this one game should not, perhaps, cause me the kind of distress it does. But even apart from the things I have mentioned above, there are several factors that make the loss more painful. The End Times had such promise. There were releases of astonishing grandeur. Nagash, the Glottkin, the Verminlord. 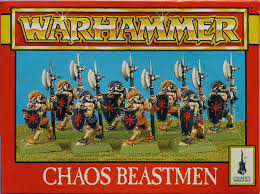 They were all indications that Games Workshop had grand plans for their original game. There were changes to army construction, opening up great alliances the likes of which hadn't been seen for a very long time. There was a real sense of the storyline finally progressing. But it all shattered, the illusion ripped away. The End Times supplements were not the herald of a Warhammer reborn. They were the final surge of a cornered beast, and when the dust cleared, all that was left of the only real army-level fantasy game in the market was a whisper of a memory and a game whose only claim to uniqueness in a market full of skirmish games was its utter lack of credible rules, of even an attempt at balance. The models that get released by Games Workshop are much the same as the End Times: a mocking hint at what might have been. While I do not personally like the design of the 'SigMarines', or some of the choices made for the recently released almost-Dwarf, almost-Slayers, it is clear that Games Workshop is the supreme producer of plastic miniatures in the world. 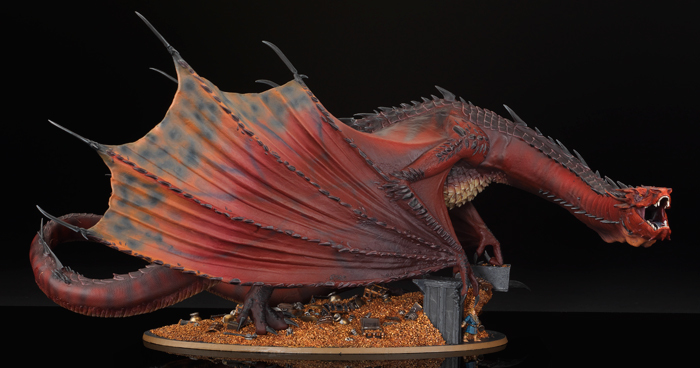 But without the game to provide the motivation, those minis end up in a dark corner together with other non-game miniatures - a place long popluated by many a Forge World kit, by a hundred small manufacturers of pretty but non-functional miniatures, by Smaug and Radagast. It is a place where minis go when they pass the is-it-pretty-enough test, but fail the will-I-ever-paint-it test. Without the cohesion offered by an army, none of the Age of Sigmar models stand a chance against less well-made miniatures that will see table time. I mean, just look at him. But when would I use him? But more than anything else, what makes me react more strongly than a grown man should to the loss of one game among many is the feeling of wasted potential. I read old Whie Dwarf magazine with a similar gut reaction as I get when I read a book by Pratchett, Jordan or Eddings. It is the same feeling I get when I see gif sets of Alan Rickman, or when I watch the last episode of Firefly. I realize that these things carry very different amounts of dignity; I am not trying to belittle the very real loss a real person's passing represents, by comparing it with something as trivial as a game. But whether it is the fact that there will never be another old-style Nightwish song, or the knowledge that my grandfather has built his last piece of furniture (he passed last summer) there is a sense of unwelcome finality. I've been looking through White Dwarfs from the year before the Age of Sigmar, and I cannot help but feel like the enthusiasm shown for Wood Elves and Maggoth Lords will forever go unfinished. The promise of the last years will forever be unrealized. I feel I have been robbed of every game of Warhammer Fantasy I might have had left to play. Googling 'wasted potential' generates a few band posters, a bunch of anti-marijuana stuff, a few comics and (de)motivationals, and this graph on wasted national economic potential. So I chose this one. But even beyond that, it is difficult to not feel deceived. I know that Games Workshop is a company, that I have no ownership of their games and that they do not owe me any courtesies. I know that, however much it might feel that way, none of the people whose words have shaped such a significant part of my life has any notion of my existence, and I know that this is obvious. I even understand why they did as they did. But nonetheless, I feel like I was offered a promise of something. A promise which was then not only reneged on, but twisted into a cruel joke, at my expense. Instead of a new life for a passion that had been dwindling, I was offered but the briefest glance before the vision was torn away and replaced with a crude painting on a stage set. And with that illusion, a part of my childhood died. And when I look at the pictures in the old magazines, the old Army Books, or the models I have spent so many hours on, I am reminded that, like the house my best friend lived in when we were children, my first wargame has been torn down. And just as with the house, even though it was allegedly torn down to make way for something new and better, there is still nothing but weeds growing where it used to stand. I have lost something, and though I know I am owed nothing in return, I keep waiting to be giving something in return, in vain. So I am left with armies that will never march gain, but which will nonetheless remain, for I know I'll never bring myself to throw that amount of time and effort away. I am left with books and books of rules that will never be updated or even replaced, but which, likewise, will have to remain. And that is why the change of a silly game still upsets me more than six months later, even though I know it shouldn't. I know a lot of people feel the same way. I was pretty late to Warhammer, so it didn't hit me as hard. Something similar happened for me when FASA closed years and years ago. I had just made a huge order (probably $50, ah the good old days) and was filled with excitement for when all of my books and minis would arrive. They never came. I got a check back for $20, as they did not even have the funds to refund my whole payment. It wasn't just sad, it felt twisted.